Recently featured on the hit tv series Garage Rehab. Read our recent blog post to learn more. 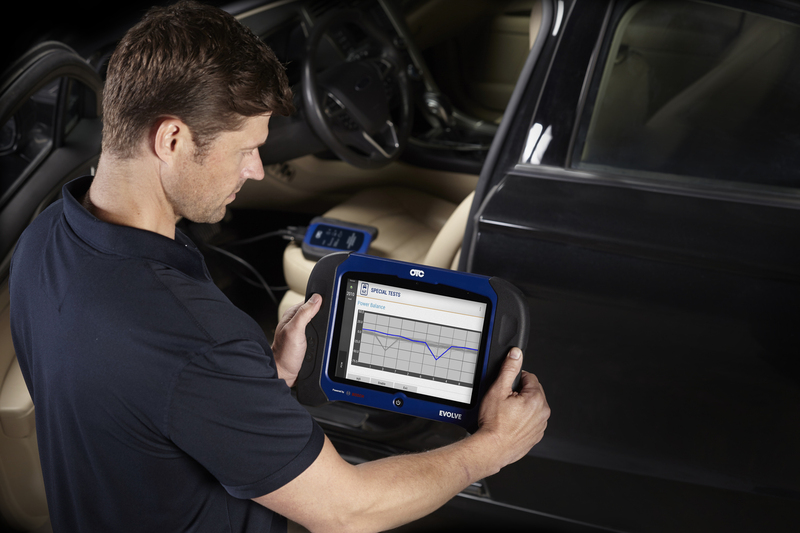 As modern vehicles become increasingly complex, OTC and Bosch diagnostics continue to evolve — from best-in-class vehicle coverage to continuously improving speed, performance and usability. 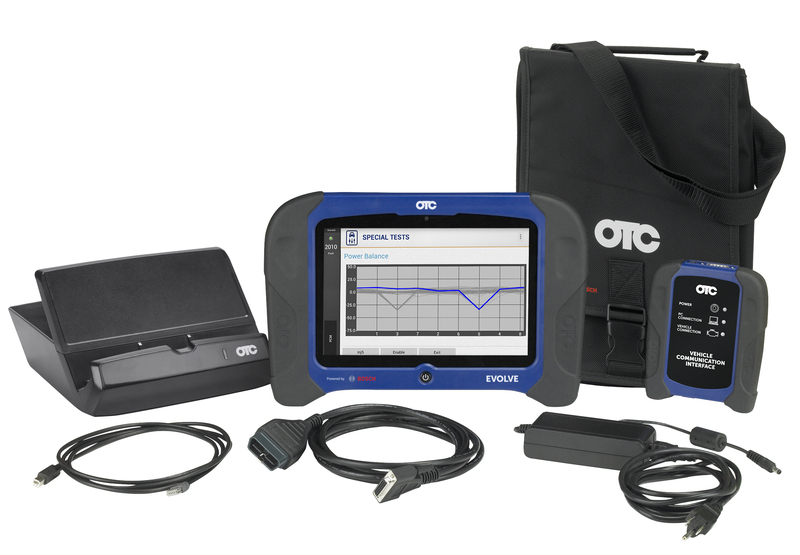 The OTC Evolve diagnostic tool enables a streamlined diagnostic process for any issue a technician may face. Constantly updating coverage enables diagnosing drivability issues on virtually any vehicle produced in the last 30 years and includes wiring diagrams for most vehicles, model years 1986 to present, available directly on the tool. 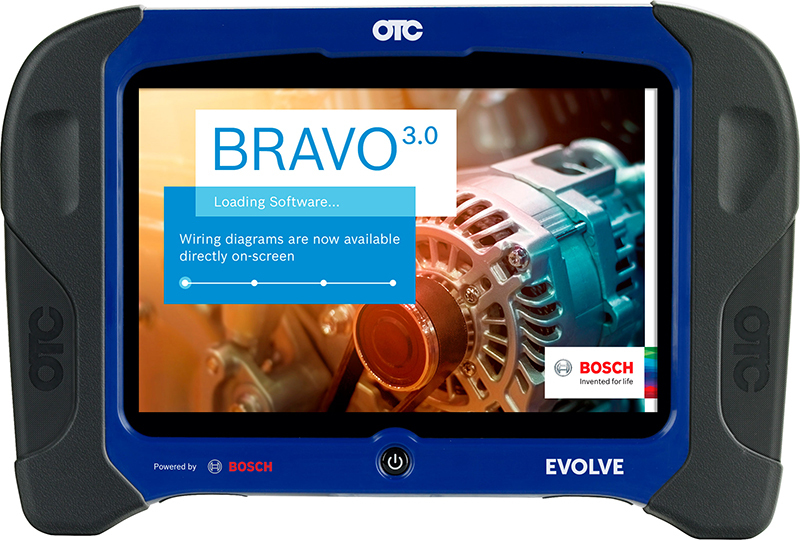 Full system wiring diagrams from Bosch included with software subscription are unique to Evolve and not offered on any scan tool in the market, featuring interactive, color guides. Requires active Internet connection to access Bosch ESI[web]. The new Bravo software layered over an Android operating system offers an easier to use, even more stable tool with additional vehicle coverage and capabilities. We support your Evolve for as long as you own it, as long as you update it, with our Diagnostics for Life program. We stand behind the Evolve with extended technical service hours, a lifetime hardware warranty and a continued pledge to provide you the industry's most complete diagnostics coverage. The Evolve comes with a one-year diagnostics subscription, renewable anytime throughout the year. Subscription renewals provide updated vehicle coverage for one year. Once your diagnostic subscription expires, all vehicle coverage remains with the tool but you will not receive new coverage updates and the wiring diagrams will no longer function. This product can expose you to chemicals including NICKEL, which is known to the State of California to cause cancer, and LEAD, which is known to the State of California to cause birth defects or other reproductive harm. For more information for to www.P65Warnings.ca.gov.